Flavius Odoacer, also known as Flavius Odovacer or Odovacar, was a barbarian statesman who in 476 became the first King of Italy (476–493). His reign is commonly seen as marking the end of the Western Roman Empire. Odoacer is the earliest ruler of Italy for whom an autograph of any of his legal acts has survived to the current day. 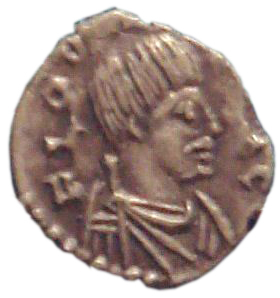 Athalaric was the King of the Ostrogoths in Italy between 526 and 534. 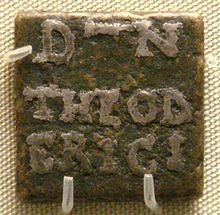 He was a son of Eutharic and Amalasuntha, the youngest daughter of Theoderic the Great, whom Athalaric succeeded as king in 526.